Reselling vs. Donating Unwanted Items for a Tax Deduction - What's Better? Reselling vs. Donating Unwanted Items for a Tax Deduction – What’s Better? Plenty of us have extra stuff lying around we’d love to get rid of. The question is, what’s the best way to go about it? In some cases, it may make financial sense to resell books, clothing, furniture, and electronics on eBay, Craigslist, or at a garage sale. Sometimes, you’re better off donating items and claiming a tax deduction. 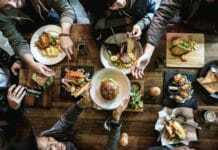 The right answer depends on a few factors: how much free time you have on your hands, what kind of goods you want to get rid of, and your ability to claim charitable deductions. 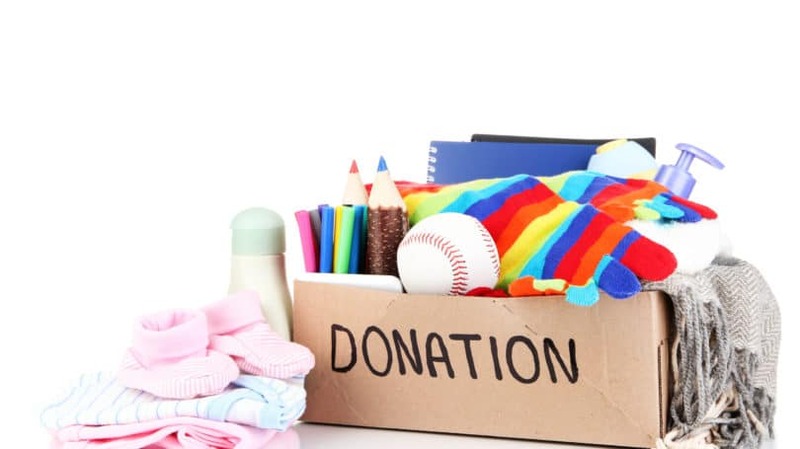 Apart from the personal satisfaction you get from helping a nonprofit, donating your extra stuff can land you a valuable tax deduction. In order to get one, you have to itemize all your deductions – but that only makes financial sense if they exceed the IRS standard deduction amount, which is $6,200 for individuals and $12,400 for married couples. To check if it makes sense to itemize, take a look at IRS Schedule A and see what applies to you. State income tax, property taxes, and mortgage interest are the big-ticket deductions for the majority of taxpayers. If you don’t have any of these, itemizing may not increase your deduction – and if you don’t itemize, you can’t claim a charitable deduction. To qualify as a charitable donation, you must give your items to a 501(c)3 nonprofit organization and get a receipt. Churches, religious organizations, government entities, and nonprofits such as Goodwill, the Salvation Army, and American Red Cross fall into this category. You cannot get a tax break for giving the items to a civic league, a for-profit bookstore, or your low-income friend. Although donating can be a good option when you can’t find a buyer, that doesn’t mean you can pawn off defective or worthless goods. The IRS specifies that used items must be in good condition to qualify for a deduction. The IRS requires taxpayers to estimate donated property at fair market value – essentially, the price a buyer would pay for it at a resale outlet. If you don’t want to launch a full investigation of the average selling price for each item you’re giving, you can use Goodwill’s valuation guide. However, if you think your item is worth more than the valuation guide suggests, you have every right to set a different value on your tax return. Simply retain some sort of documentation to justify it – the “sold listings” search feature on eBay is a great resource. If you’re donating high-priced items, you have to jump through a few extra hoops. If you want to claim that a single piece of clothing or a household item is worth more than $500, you must include a professional appraisal with your return. You also need an appraisal for any group of similar items, such as books, clothing, or furniture valued at more than $5,000. The “revenue” that you receive for your donation is really a reduction in taxable income from your highest tax bracket. For example, say that you donate a jacket worth $20 and you’re in the 25% tax bracket. Since 25% of $20 is $5, you get a $5 reduction of tax liability. The higher your tax bracket, the more you net from your charitable donations. You should note that the amount of donations you can deduct is generally capped at 50% of your adjusted gross income. 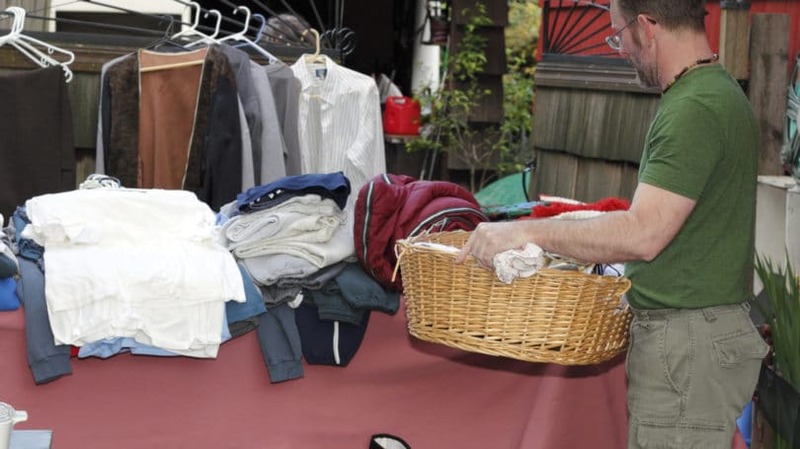 If you have a lot of stuff to get rid of, donating is far less time-consuming than selling. The most time-efficient way to do it is to stockpile items and donate once every six months or so. 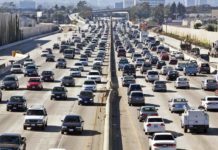 If driving is inconvenient, many nonprofits allow you to schedule a pickup at your home or office. Just contact the agency online or over the phone and leave the goods at your doorstep – the driver should leave a receipt upon pickup. Charitable organizations such as Goodwill often make house calls to pick up large furniture like desks, sofas, and beds. Just keep in mind that the nonprofit may want to send a representative beforehand to ensure that the furniture is in good enough condition to donate. Although the nonprofit issues you a receipt, it may not itemize everything. Therefore, prior to making your donation, spread out all the items and snap a few pictures, as this can help jog your memory at tax time. It also serves as additional documentation in the unlikely case that you’re audited (don’t worry, modest donations are not an IRS red flag). As mentioned earlier, you’ll need a professional appraisal for a single donated item worth more than $500 and for a group of donated items valued over $5,000. After pictures and any necessary documentation are acquired, it should take about 15 minutes to do all necessary calculations and fill out the tax information on Schedule A. If your total donation exceeds $500, you’ve got to spend a few more minutes detailing it on Form 8283 as well. If you want more cash and don’t mind spending the extra time, you may be better off selling your goods. Here’s an overview of the process and the most common venues to sell. 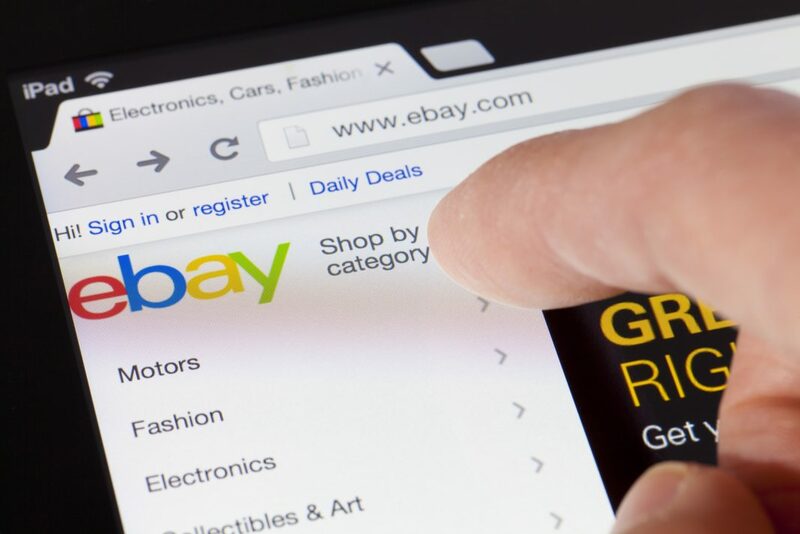 Although there are other online auction sites, none are as far-reaching as eBay. It works best for relatively small, lightweight items that are cheap to ship. eBay does have a “local pickup” option, but that ends up eliminating a huge portion of potential buyers. Since eBay provides both buyer and seller protection for every transaction, you’re covered if a buyer claims an item was never received – as long as you ship the package with a tracking number to the correct address. However, buyers can request refunds for items that don’t meet the listing description, so be upfront about the condition of what you’re selling. You’re likely to get a fair price for your item – typically between 30% and 60% of a product’s retail value. When you list your item, eBay suggests a selling price based on the history of similar items. Since it’s a large market, crazy bidding wars don’t happen too often – but the auction format means your item could sell for more than your asking price. One of the biggest downsides to eBay is the fees. Sellers that list fewer than 50 items per month don’t have to pay insertion fees (flat fees based on category, selling format, and more). However, eBay always collects a selling fee based on the final value of your item. For most categories, you are charged a final value fee of 10% of the total amount of the sale, including both purchase price and any shipping fees. In other words, if you sell a jacket for $20 and charge $5 to cover shipping, your final value fee is $2.50. However, eBay also offers sellers a 14% discount on shipping rates, so the expense often comes out to be a wash. The final value fee is charged when your item is sold, not when the buyer pays – so if you happen to get a deadbeat buyer and you’re forced to cancel the transaction, you have to wait a few weeks or a few months for eBay to refund the fees to your seller account. On top of 10% to eBay, you also pay a cut to PayPal for hosting the transaction. PayPal charges 2.9% of the sale price, plus a flat $0.30 fee per transaction. Between the two companies, your fees amount to around 13% of your gross revenue. Despite its popularity and user-friendliness, selling on eBay can still be a time-intensive endeavor. To list something for sale using a computer, sellers must enter the item name, choose a category, create a listing, and snap a few pictures to upload. On average, this takes around five minutes per item listed. Alternatively, if you create the listing from your smartphone, the eBay app allows you to choose a photo from your phone’s gallery. If you’re listing five or ten items, the time spent can add up quickly – so if you’d like to quicken things up, consider selling multiple items as a single lot. However, it’s important to understand that lots tend to sell at a much lower per-item rate. Once your item has sold, you need to print out a shipping label, locate a suitable shipping box and packing materials, pack everything up, and drop it at the USPS or another carrier. Estimate another 15 minutes per item for selling and shipping time. If you’re new to selling on eBay and aren’t familiar with the account interface, your first few sales may take you an extra 10 to 15 minutes. 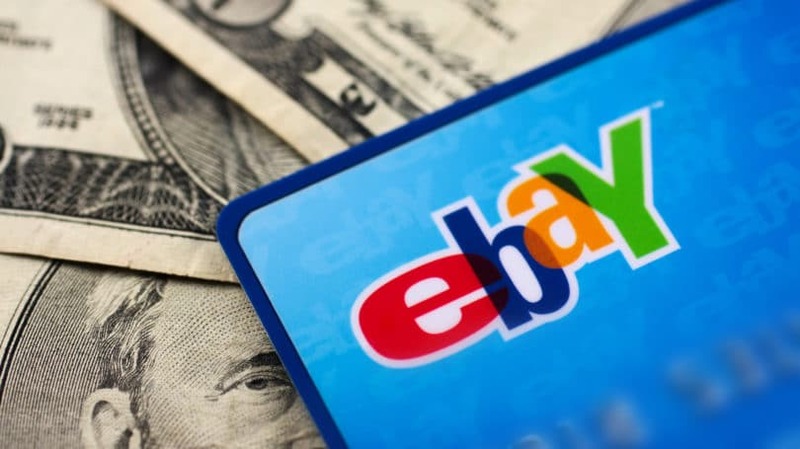 All told, eBay is a convenient way to get money for your stuff, but fees are a bit stiff and the process can be somewhat time-consuming. eBay works best for small, valuable items that are cheap to ship, such as last year’s smartphone or used designer jewelry. It’s not very cost-effective to sell one inexpensive item, such as a blouse, because of the time commitment required. However, if the items are similar – say, a wardrobe of maternity clothes – you can list them as a lot and spend fewer hours on the process. Items that are especially large or heavy don’t sell well on eBay simply because customers don’t want to pay the shipping fees. In that case, a community-oriented sales site (where buyers and sellers physically meet) such as Craigslist may be a better option. Whether you can sell your stuff for a reasonable price depends heavily on where you’re located. Big cities with high populations provide a wider audience and a better shot at a fair price for your goods. If you’re in a rural area, you may have to sell at a low price, or you may not find a buyer at all. The good news is, you don’t incur any fees when posting on Craigslist. On the downside, there’s no buyer or seller protection. If you and your customer agree, you can receive payment via a secured transaction on PayPal. The standard fee is charged, but PayPal offers to mitigate the transaction in the event of a dispute. Alternately, you can be paid the old-fashioned way in cold hard cash from the seller when you meet to exchange the item. This, however, has no buyer or seller protections. Posting an ad on Craigslist takes about five minutes. At a minimum, you need to create a short description of the item along with a selling price – including a few photos can help a great deal too. What takes more time is fielding questions and offers. Since prices are flexible on Craigslist, you may get hagglers asking for a better deal or offering to trade services for your stuff. Whereas eBay penalizes buyers and sellers who don’t follow through with the transaction, Craigslist does not. On eBay, buyers who bid but don’t follow through on a purchase can receive negative feedback and comments, as can sellers that don’t ever send the item. However, Craigslist is completely anonymous and has no rating system. Depending on how aggressively you price your goods, you may have to repost your item several times and deal with a handful of potential buyers before you make the sale. Craigslist is great to sell bulky goods and furniture that are difficult or impossible to ship. Unfortunately, dealing with flaky customers can be frustrating and time-consuming. If you have a lot of stuff to get rid of and you’d prefer to sell it locally in one fell swoop, a garage sale may be your best option. People expect rock-bottom prices at garage sales, so your total cash proceeds may be less than what you’d get on Craigslist or eBay. However, you may be able to get rid of a ton of stuff without having to post and track individual online ads. To make a garage sale work, you need a large amount of items and an open driveway to set up shop. If you only have a few items to sell, consider teaming up with some friends and pooling your unwanted wares. A wider variety of goods can attract more shoppers – and give you some enjoyable company while you sell. Whether you choose to donate or resell ultimately depends on how much you value your time and how badly you want the extra cash. The tax deduction you get from donating is generally less than the net cash you would get from selling on eBay or Craigslist, but the process of donating is much less time-consuming – plus, you’re sure to feel good about where your belongings are going. If you don’t want to spend your valuable free time wheeling and dealing, consider donating your goods and reducing your tax bill. Have you donated or sold your extra stuff? Which do you think is better? Patricia Poladian is a freelance writer specializing in personal finance, taxes, and business. She loves to provide practical solutions for everyday financial problems. When she's not blogging, she's enjoying San Diego beaches and brewing her own beer.